My father Nicola, emigrated to the United States in December 1965. He came to live with his brothers and sisters who had already established themselves in Flushing, New York. In September of 1967 he traveled back to his hometown of Mola di Bari, Italy, where he met my mother Rosa. They married in Mola di Bari in August 1968 and they both returned to Flushing/Queens, New York to begin their lives together. My father an electrician by trade, grew up working on the family farm. There wasn’t much industry in southern Italy at the time and work on the farm was incredibly hard and unpredictable. My father knew that he didn’t want to work the family farm for the rest of his life and so he came to New York in search of work and a new life. My parents brought with them, many Italian traditions. 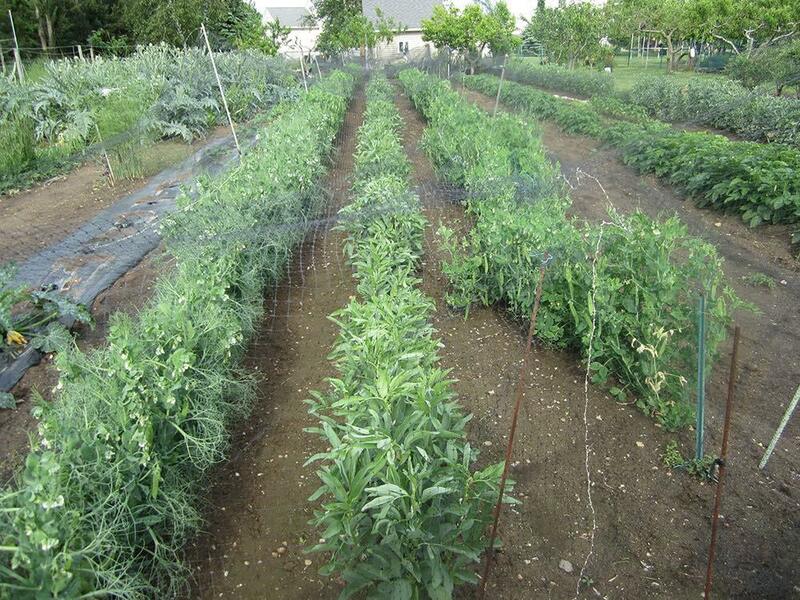 But, the one I am most proud of was our Italian vegetable garden. 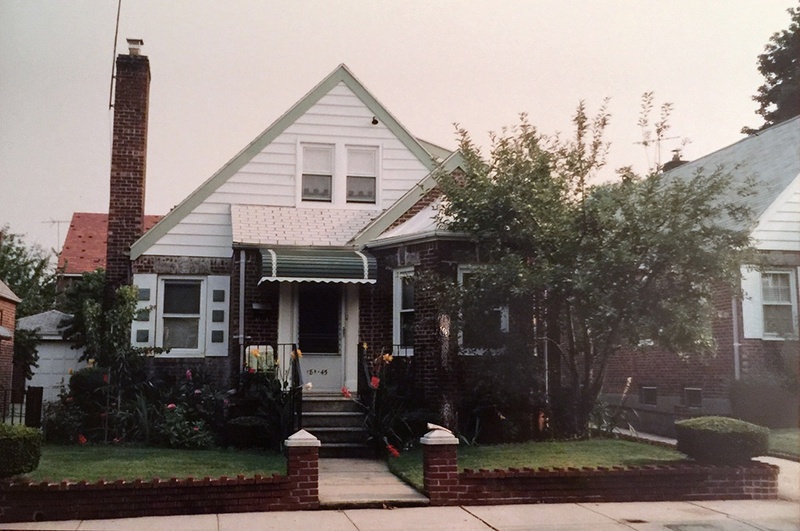 In 1973 my parents bought a Cape Cod style home in the Auburndale section of Flushing, where they resided with my younger brother Anthony and myself. When my brother and I were kids, we weren’t always fond of the garden. On hot summer days, we would begrudgingly watch our neighbors swim in their big beautiful pool in their perfectly manicured backyard and wonder why we couldn’t have the same. Our backyard, besides a covered porch and a small patch of grass, was entirely covered with vegetation. Some friends and neighbors would jokingly refer to it as a “jungle.” Our family was very different from all the others living on our block. Besides one other family, we were the only ones that spoke a different language, had different customs and certainly were the only ones with a backyard that looked the way it did. 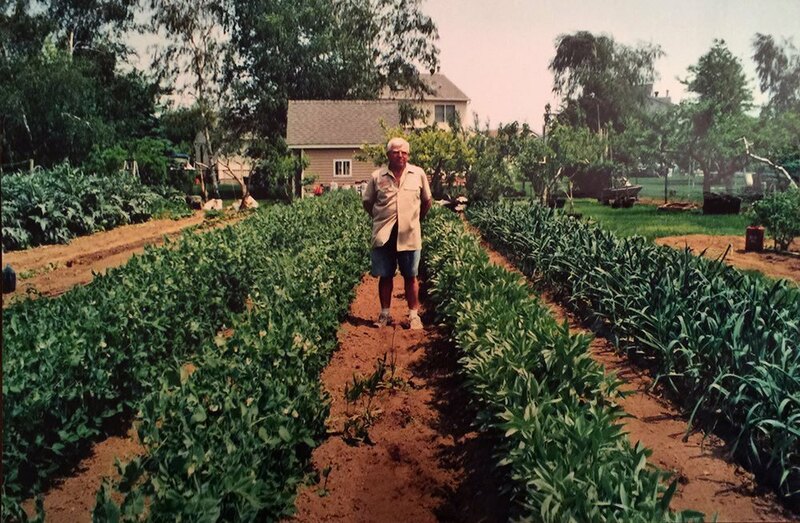 It wasn’t until years later that we realized how lucky we were and still are, to have a father that is so dedicated to providing his family with the freshest of fruits and vegetables. The process of growing his vegetables would begin in the month of February. My father had a system all set up in one of the rooms of our basement where the boiler was located. He would set up a table and rigged a system of growing lights to hang over it. He would start growing his plants from seeds in pots. The plants had light and the warmth of the boiler, the perfect environment for the seeds to grow. The plants that took the longest to grow were the peppers (peperoni), eggplant (melenzane), celery and parsley therefore, those were the first plants he would start. 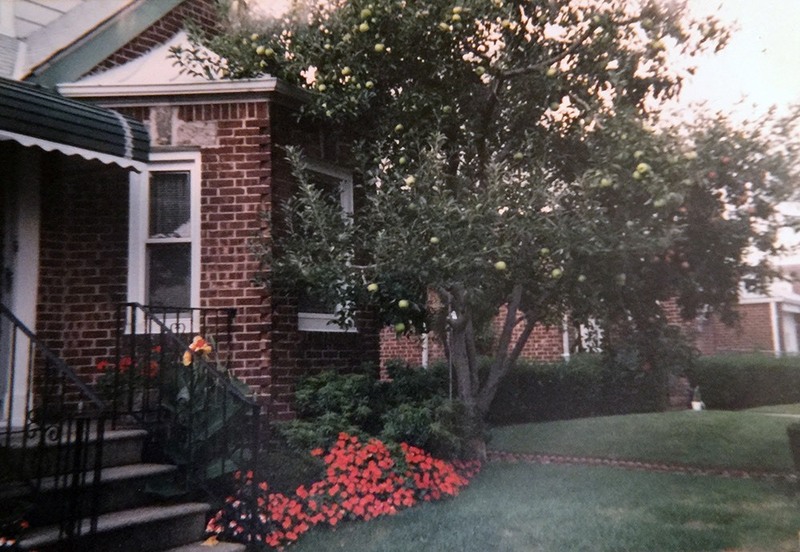 The seeds for the peppers, plum tomatoes and swiss chard were my grandfather’s original seeds dating back about a hundred years and brought back to New York via Alitalia, hidden in my father’s pockets. 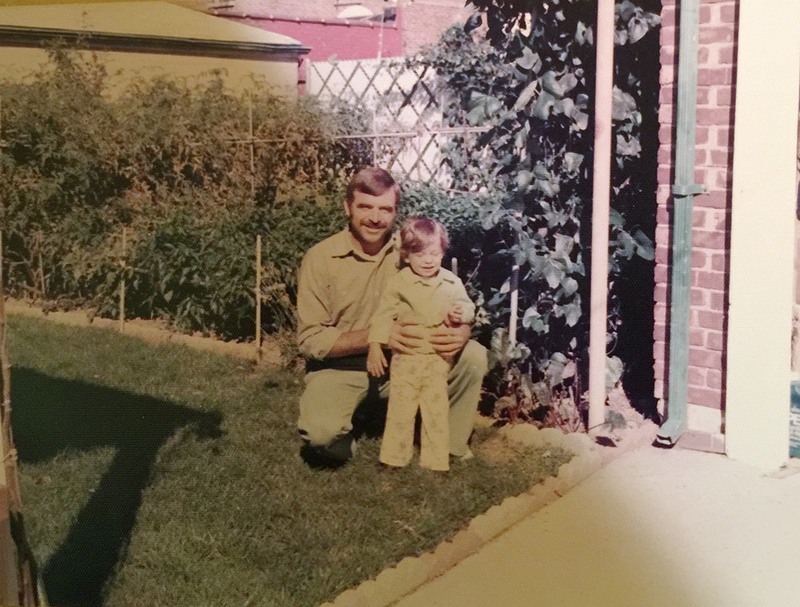 In the early spring and summer months, my father would return from a hard days work to sit under the shade of his grape vines and unwind with a cold beer. Afterwards, he would immediately disappear into the 30 foot x 30 foot garden to water, weed and prune. He would fill watering cans for my brother and I so we could feel like we were of some help too. Growing in the garden was a multitude of fresh herbs such as parsley, basil, rosemary and mint. The aromas in the kitchen when my mother cooked were amazing. 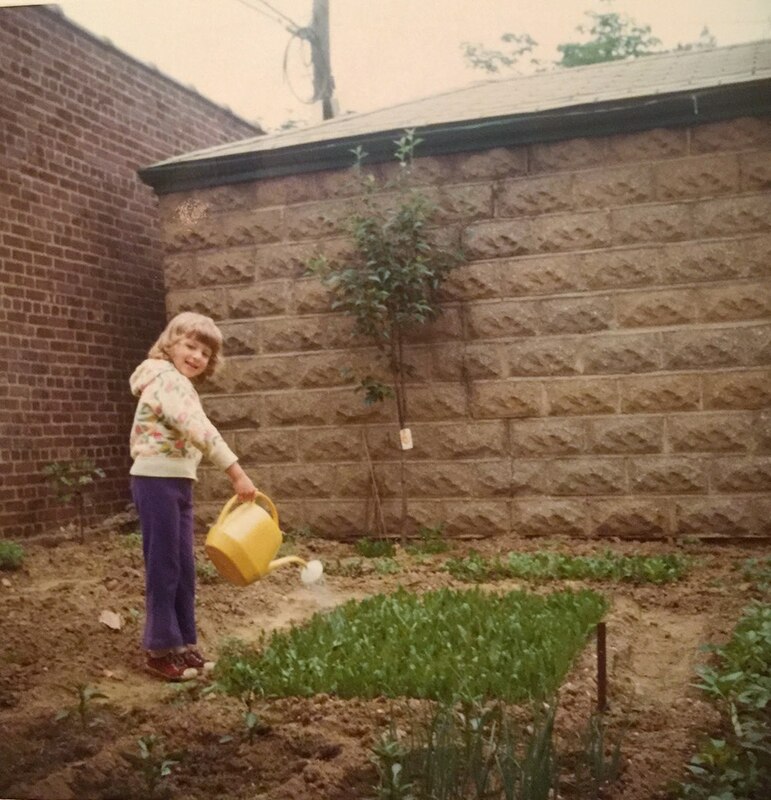 She would often send me into the garden to pick the herbs or vegetables that she needed for whatever it was she would be cooking at that time. At an early age, I knew how to differentiate all the herbs and vegetable plants; a skill not many kids my age had! Growing in the garden you could also find string beans, plum tomatoes, lettuce, cucumbers, chicory, carrots, celery, fava beans and peas. Surrounding the garden were fruit trees that bore the most delectable fruits. 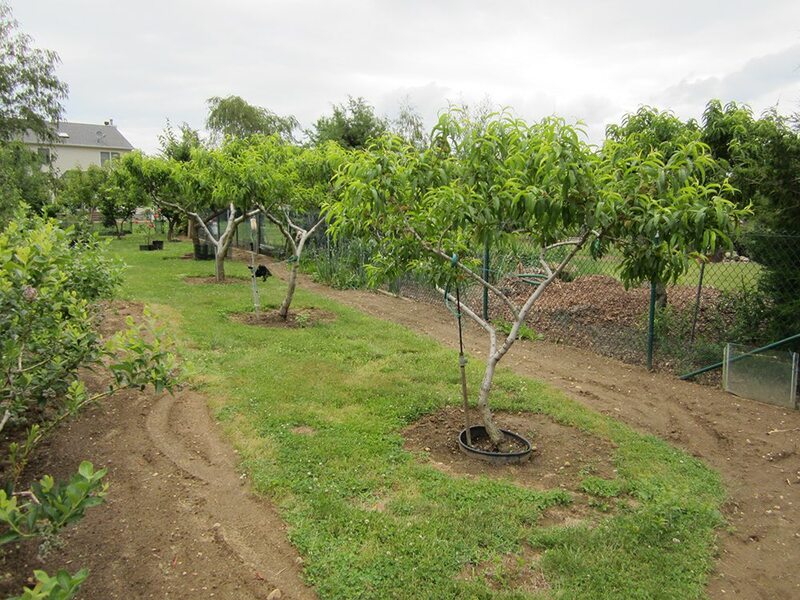 We had a peach tree that my brother would often climb, pears, apples, figs and persimmons. 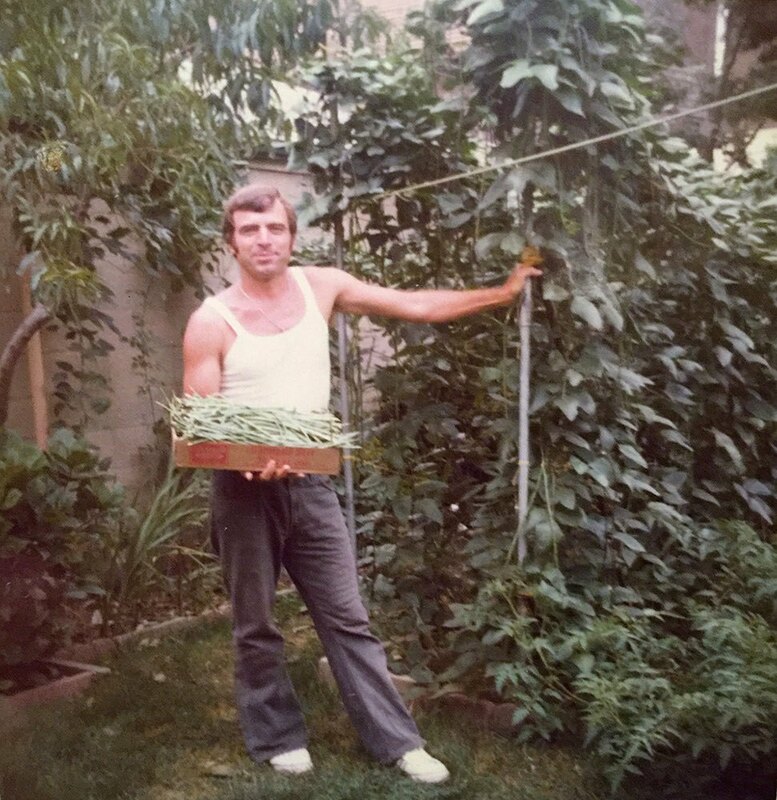 There are so many Italians that have gardens like ours, but what I believe sets my father apart from the others are his very creative and ingenious methods of gardening. For instance, he had fashioned his own greenhouse that was framed with electrician’s pipe and covered with plastic. It was complete with a thermostat, heat and an exhaust system. If the greenhouse got too cold, the heat would automatically turn on and if was too hot the exhaust fan would let out the heat. 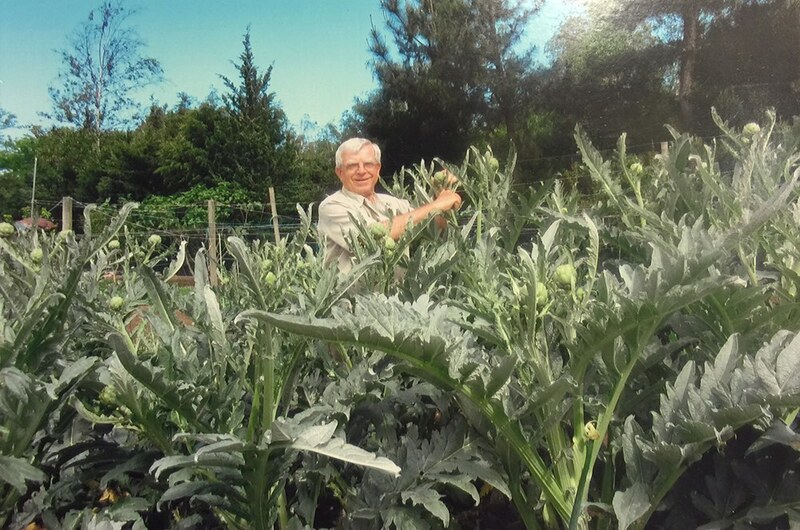 Another example of his ingenuity is how he maintains his artichokes, a perennial plant, so that the plant can survive the cold winter and be harvested in the spring. Most other gardeners in the northeast will reseed the plant every year and will harvest in the fall being that that plant typically will take about six months before it’s able to bear artichokes. He does this by protecting the plant from freezing in the cold winter. He creates a “Greenhouse” type of environment. He will frame the artichoke bed and cover it with a double layer of plastic covering. He has a fan blowing air between the layers of plastic creating a bubble, thereby allowing wind to ergonomically blow over the plastic. This system prevents the plastic from being destroyed by strong winds, heavy rains and snow. It keeps the plants safe and warm throughout the winter. Of course, like so many other Italians, we would make our own tomato sauce and wine with our harvests. My mother would also jar sundried tomatoes (pomodori sotto olio), peppers, pears, peaches and homemade marmalades. 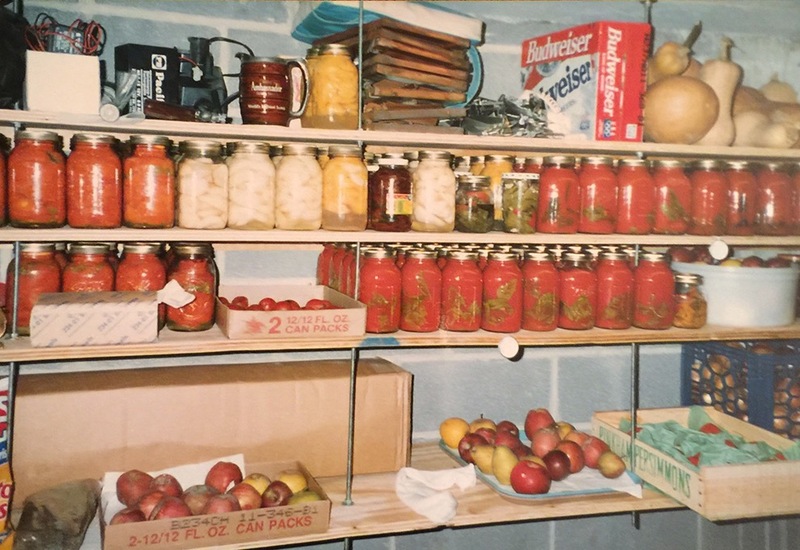 In 1992 my father with the help of my Uncle Giovanni, excavated underneath our porch and built a 23 foot X 7 ½ foot cold storage room that could be accessed through a room in our basement. Eventually, our backyard became too small for my father. He took an interest in the North Fork of Long Island and purchased an 8½-acre lot that he rented to potato farmers, keeping a large section for him. 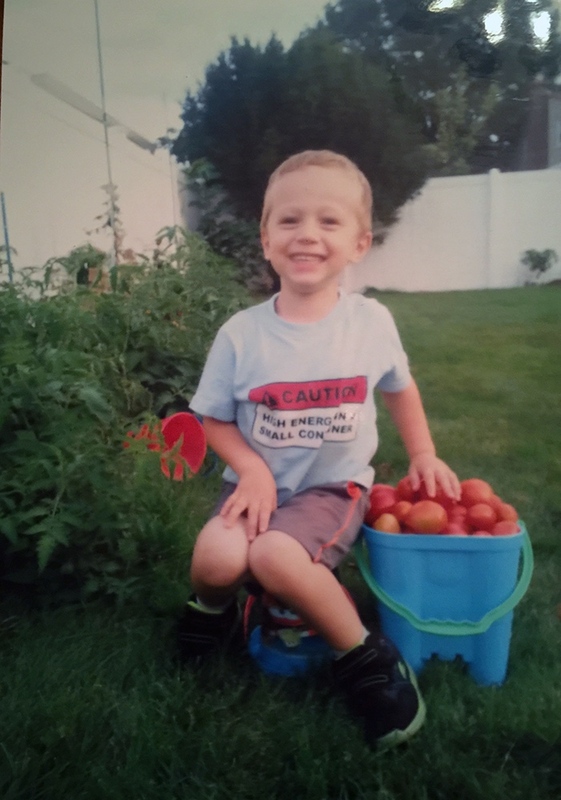 Every weekend, he would drive about an hour and a half, to get to his mini farm in Aquebogue. He would leave early Saturday morning and return home when it was dark with a carload full of his harvests. He would unload all the bags in the kitchen. Sometimes also bringing home a lizard or two that were along for the ride much to my amusement as the chase was on to catch the little buggers. Sunday mornings he would take that long ride right back out there. We would all go there as a family and enjoy the hot summer days on the farm and then would head to the nearby beach to cool off. The garden/mini farm was visible from the road. Local farmers would joke with him and say that his gardening abilities put theirs to shame. The North Fork is home to many farms and wine vineyards. It was love at first sight and would serve as a great place for my parents to retire to. They eventually purchased a home in nearby Mattituck in 2001. The new mini farm is now 125 feet X 125 feet, is complete with a decent sized green house, and is enclosed by a fence to protect it from hungry animals. He now has room to grow just about anything he wants to. His greenhouse is home to 17 lemon trees! There are pumpkin and watermelon patches. This summer we counted 22 watermelons, one weighing in at a whopping 30 pounds! There is nothing like the farm to table freshness that comes from growing your own fruits and vegetables. I guess you can say that we are all a little spoiled. When I walk through the produce aisle in the grocery store and look at all the wax covered fruits and veggies that were probably picked a month ago, my stomach turns just a little. My brother and I are both married now with families of our own. We each have small gardens in our yards. My husband Peter and my brother’s wife Samantha have really taken an interest in learning from my dad’s expertise. My daughters Julia and Daniela and my brother’s sons Nicholas and Franco are so very lucky to be growing up eating fortifying foods straight from the ground. They love walking and frolicking through the garden and stopping to eat a tomato or peas from the pod, then continue playing. Although we may never have the devotion and passion that my father has, it is so important that we keep the tradition and preserve his legacy for our children and generations to come. -Story contributed by Pasqua Girani. My dad Nicola with my brother Anthony, 1977. 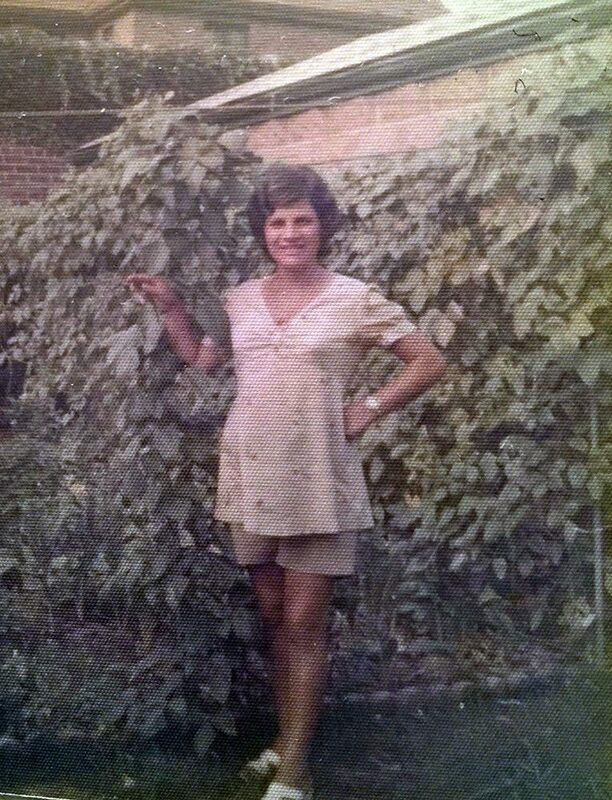 My mom, Rosa Ranieri, in the garden. 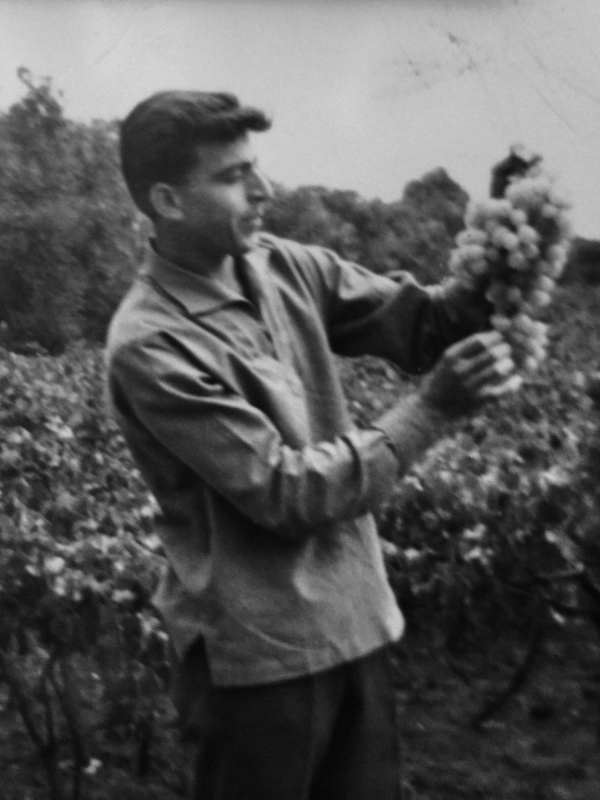 My father Nicola on his family farm in Italy.